From the moment he entered this world on July 6, 1946, Sylvester Stallone was faced with some difficult challenges. From birth complications that left his face partially paralyzed to sleeping on the streets of New York, and losing his firstborn to a heart problem, the actor's faith has been tested multiple times. However, he managed to come out on top each time, and worked his way up to being one of the world's biggest action film stars. 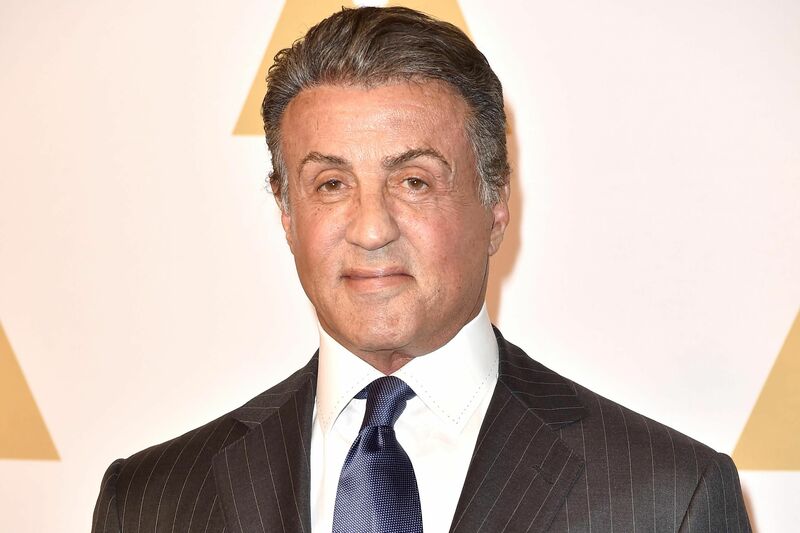 Since his lead role debut as Rocky Balboa in the 1976 film, Rocky, the actor has written and starred in numerous films including the Rambo franchise, Nighthawks, Demolition Man and Creed. He amassed plenty of accolades during his decades-long career, including a Golden Globe Award, Critic's Choice Movie Award and People's Choice Awards. He is also a three-time Academy Award nominee. 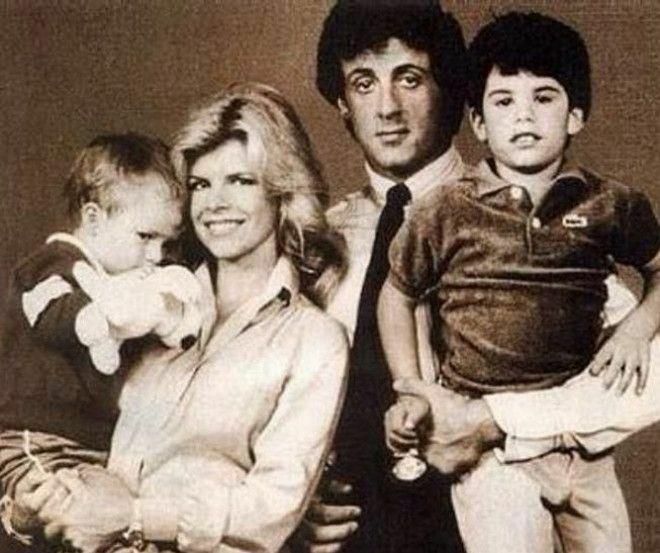 Still, none of these achievements seem to be as meaningful to Stallone as his children are to him. The 71-year-old fathered five children during his three marriages. His sons, Sage Moonblood and Seargeoh, were born to his first wife, Sasha Czack, who he married in 1974. In a heartbreaking turn of events, Sage died in 2012 at the age of 36. His death was caused by a hidden heart condition. "This agonizing loss will be felt for the rest of our lives," Stallone said in a statement. "Sage is our first child and the center of our universe and I am humbly begging for all to have my son’s memory and soul left in peace." As for Seargeoh, aside from appearing as Rocky Balboa Jr. alongside his father in Rocky II, the public has not seen much of him. Although Stallone wanted him to pursue acting, the severity of Seargeoh's autism spectrum disorder wouldn't allow him to do so. 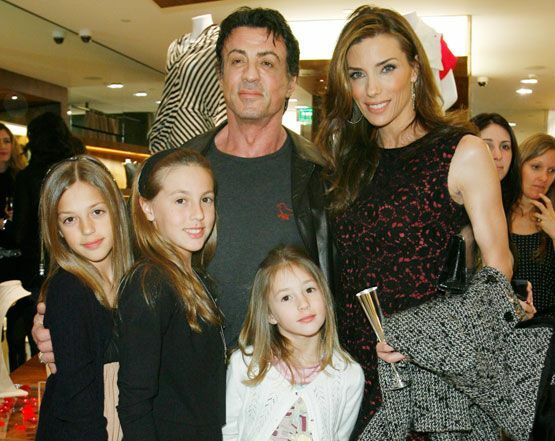 After Stallone's second marriage to actress and model Brigitte Nielsen also ended in divorce, he met his current wife, model Jennifer Flavin. 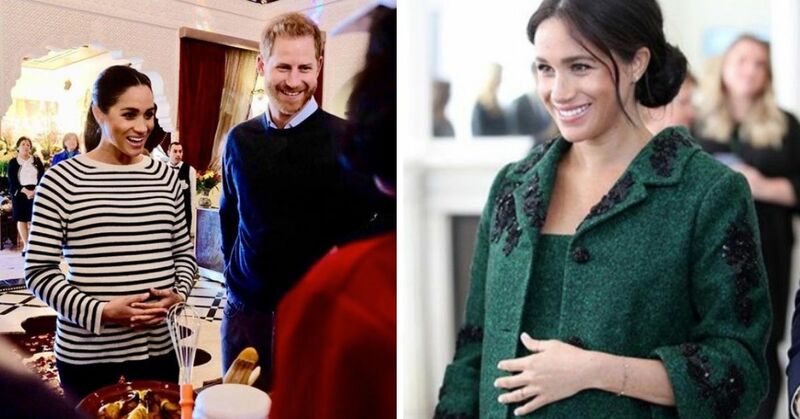 The couple's first child, Sophia, was born a year before they got married in 1997. They later welcomed two more daughters, Sistine and Scarlet. 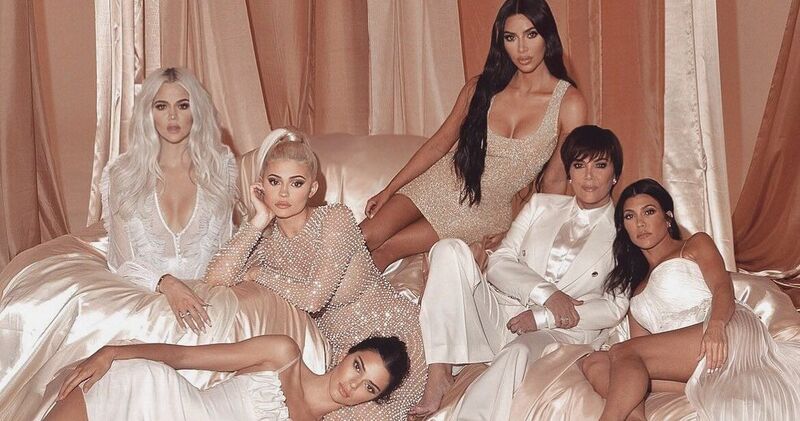 The girls would often be seen accompanying their famous parents to events, and many assumed that they would dabble in acting just like their father and oldest siblings, but that wasn't the case. All three girls are stepping into the limelight not as actresses, but as models, just like their mother. Sophia was born with a form of Congenital Heart Defect (CHD) called an atrioventricular septum. The condition occurs when a baby is born with a hole in the wall between the left and right sides of the heart, allowing blood to flow between the chambers. The condition is rare, but it is treatable with surgery. 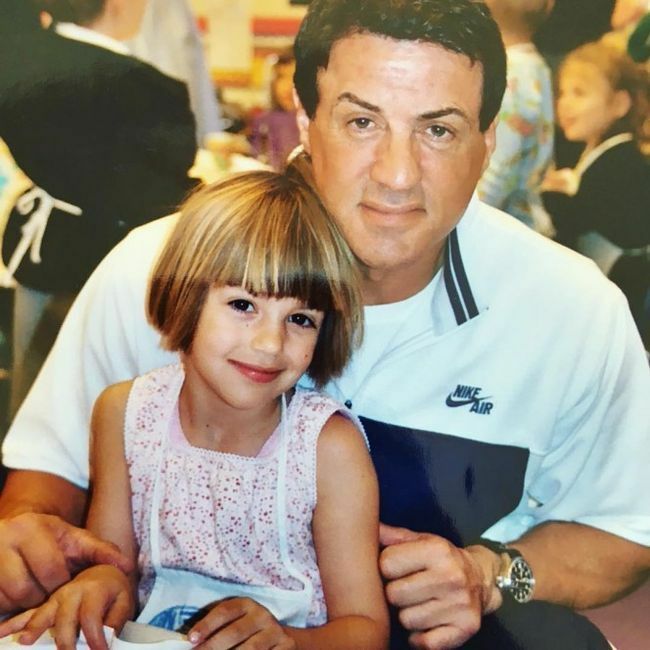 Doctors performed an open-heart operation on the oldest of the Stallone girls when she was just two-and-a-half months old. The procedure went well, and Sophia appeared to be healthy until the age of 16, when doctors informed her that she will need to undergo another surgery to fix a problem with her heart valves. Unfortunately, growing up with a fragile heart meant that Sophia wasn't able to do everything that the other kids and her sisters did. "Every day I think of my heart," Sophia told Paris Match magazine in 2012. "I eat really healthy, and as I get more tired than normal, I have to be very careful when doing sports." 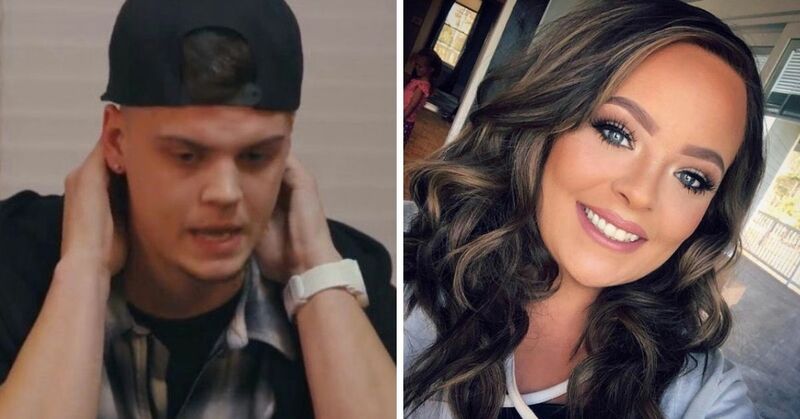 "Sophia had never had a boyfriend at that time and she should have been thinking about school and going on dates, not going through something so heavy," her mother told the publication. The second operation went without a hitch, and Sophia was finally able to live her life to the fullest. "I can do everything now," she said. "I just have these scars. And, actually, I feel like a better person today because of what happened – more of an old soul, I guess." 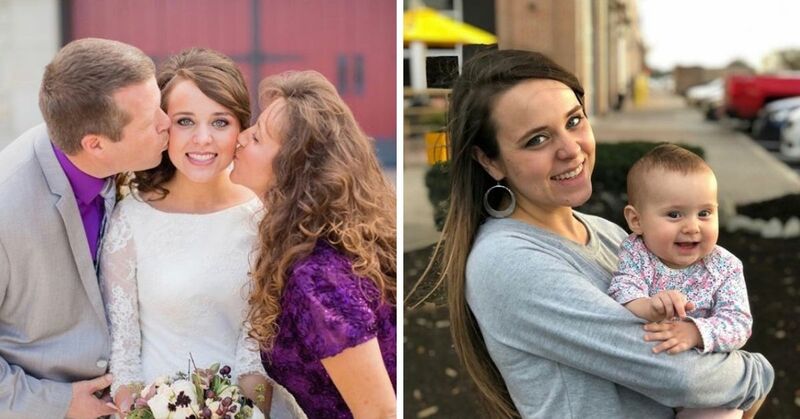 Now, Sophia is a healthy 21-year-old and is setting the bar high for her younger sisters. She is currently enrolled at the University of Southern California as a communications major with a minor in entrepreneurship and film. 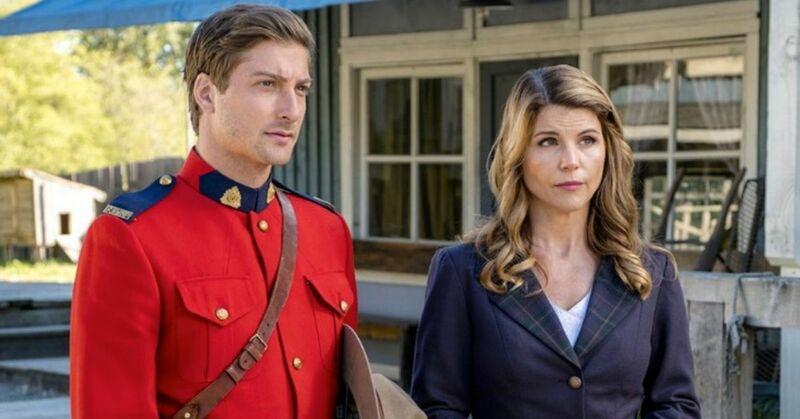 Although Sophia has some interest in the film industry, she has no plans to become an actress. She previously discussed her love for theater and the desire to act, but she gave up on that dream when she realized how harsh the industry can be. She revealed in an interview with The Hollywood Reporter that she hopes to one day "be an entrepreneur and run my own fashion and makeup line." Sophia is already dipping her toes in the fashion industry, and recently appeared on Project Runway as a guest judge. She has also appeared in a number of magazines alongside her sisters, and according to her social media pages, she occasionally models with Sistine. Just like her big sister, 19-year-old Sistine has been making her name in the fashion world. The aspiring supermodel signed a contract with IMG Models, and already has some major achievements in her resume. 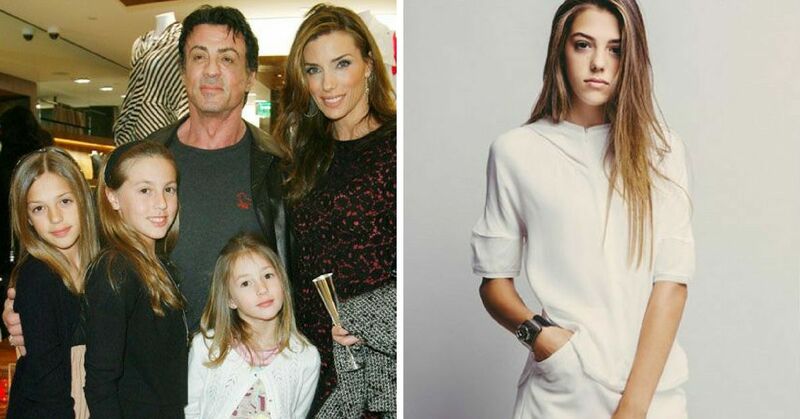 Stallone's middle daughter has all it takes to make it as a model in today's industry. She is beautiful and tall, signed to one of the world's biggest agencies, and is what the media calls "Hollywood royalty." Sistine is also highly motivated and inspired. Sistine started garnering attention in 2016 when she was named one of fashion's fresh faces to watch. That same year, she posed for Love's annual sizzling advent calendar wearing a black lacy number. 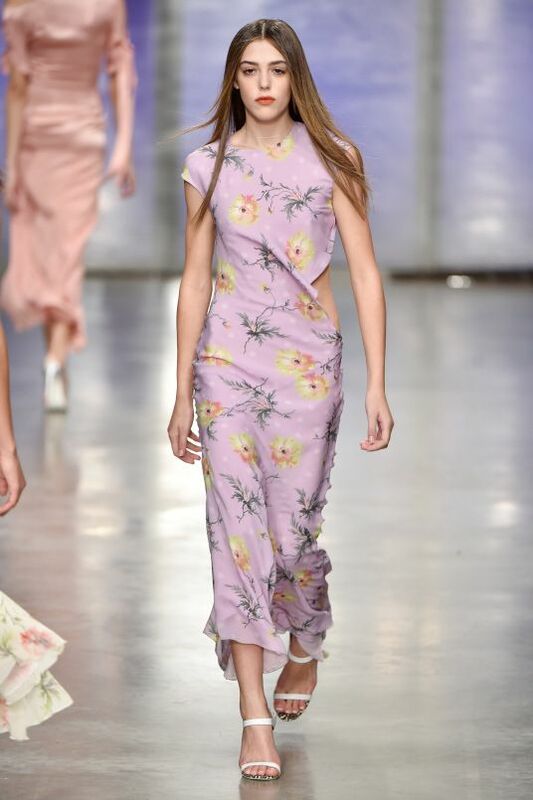 A few months later, in February 2017, the second-generation model made her runway debut when she took on the catwalk for Topshop's London Fashion Week show. "Oh my God, I’m so excited,” said her mother. 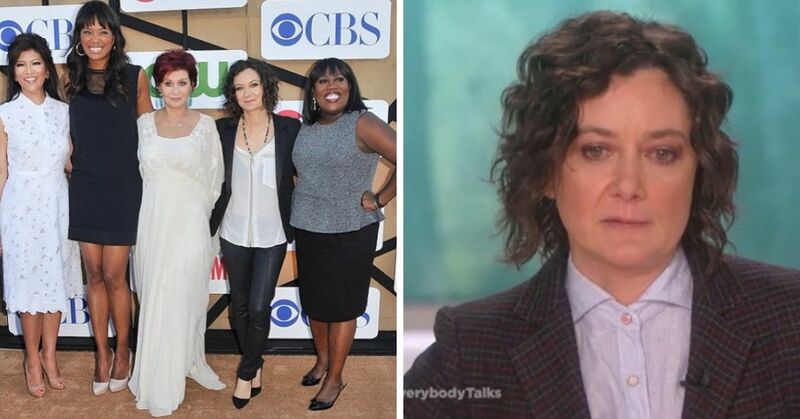 "She’s got an amazing walk, she’s a total natural. I mean, I couldn’t walk [as a model] to save my life so I don’t know where she got it from because it certainly wasn’t [Sylvester] or I." Flavin also praised her daughter's work ethic and credited it for her success. "She just practices and she’s been watching this world since she was a little girl, so she’s been studying the runway, watching videos and wanting to do this her whole life,” she explained to WWD. She added, "She always said, ‘I would do it for nothing, I love it so much. I don’t care if I ever make a name.’ She knows we don’t care. So she really loves every aspect of fashion; loves studying from designers, even the hair and makeup artists, every person involved from the photographers to the shoe designers, she just loves everything to do with [fashion]." In addition to walking the runway, Sistine has appeared in campaigns for some big brands, including Dolce & Gabbana, Chanel, Zadig & Voltaire, and Express. Sistine walked for Chanel twice, including the brand's Metiers d'Art show in 2017. She also made headlines for her impeccable front row style at Tom Ford, Michael Kors and Ralph Lauren's New York Fashion Week shows. Sistine has been featured in a number of magazines, including Teen Vogue, Elle, and The Hollywood Reporter. She has also graced the covers of many magazines, including Town & Country and Harper's Bazaar. On top of making her mark in the modelling industry, Sistine also excelled in school. The teen graduated high school last year and her famous parents couldn't be more proud. Our Sistine graduates! Congratulations to a wonderful young lady ! Although Sistine and her sister Sophia developed an interest in fashion, the youngest of the trio, Scarlet, is pursuing a different passion. It's tough growing up with parents and sisters who are famous, but 15-year-old Scarlet is holding her own. Along with Sophia and Sistine, the teenager was given the honor to hand out the Golden Globes statuettes at the 2017 ceremony. Miss Golden Globes is a Hollywood Foreign Press tradition that dates back to 1960s which selects a celebrity offspring to give away the coveted statuettes. In a way, it's sort of like a debut for Scarlet and her sisters. Scarlet, who is still in school, is said to be promising track and field athlete. However, she hasn't yet decided on a career path. She often accompanies her family to events and has appeared alongside her sisters in various magazine spreads. Scarlet has also been the face of numerous fashion campaigns for brands and stores, so perhaps as she gets older, she will also pursue modelling. 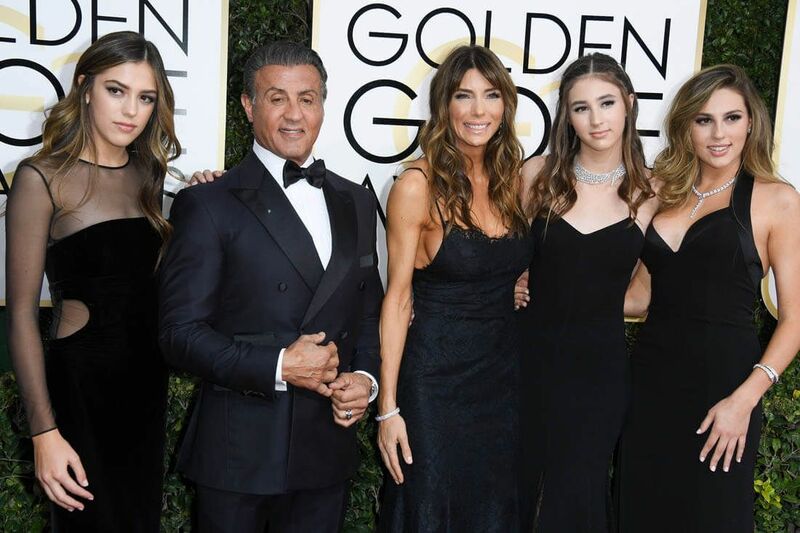 As the case is with most parents, Stallone and Flavin are extremely proud of their beautiful, talented and smart daughters. 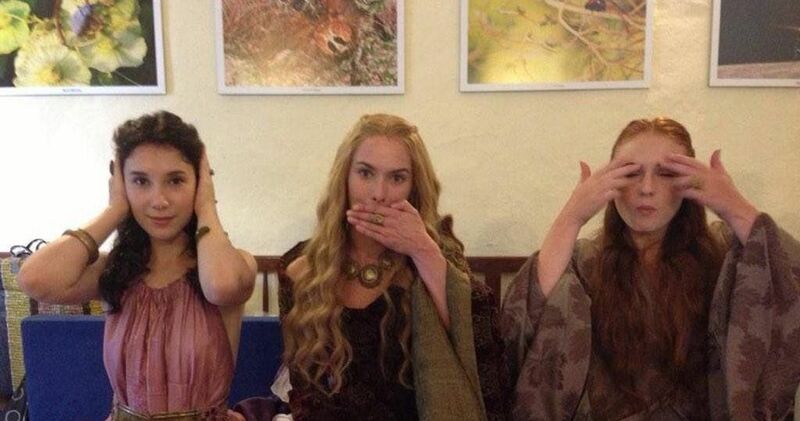 They can't stop gushing about them on social media. "At an event last night with my wonderful daughters! Always a pleasure to spend time them!" the actor captioned the photo. "Three roses and one weed," he captioned another photo on Instagram. The three roses and one weed. Can we blame them? 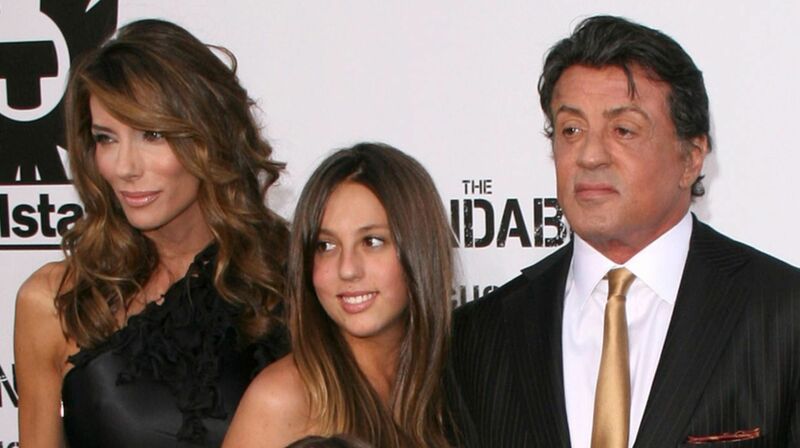 They did a great job raising three wonderful daughters who will carry on the Stallone legacy for years to come.